These features are part of a larger effort to support time in which “time is but a group” – a set of nodes and edges present in a time slice. We are working on designs in which some groups are sequenced, allowing the user to move up and back through collections of vertices that may appear or disappear over different time slices/groups. 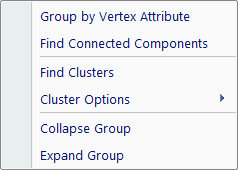 After you group the graph’s vertices (NodeXL, Analysis, Groups), you can now select all the vertices in a group. Go to the Groups worksheet and click on a group name. Once a group is selected, you can collapse it into a single vertex. Go to NodeXL, Analysis, Groups, Collapse Group. You can expand it again using Expand Group. The Groups worksheet now includes a column that tells you how many vertices are in the group. 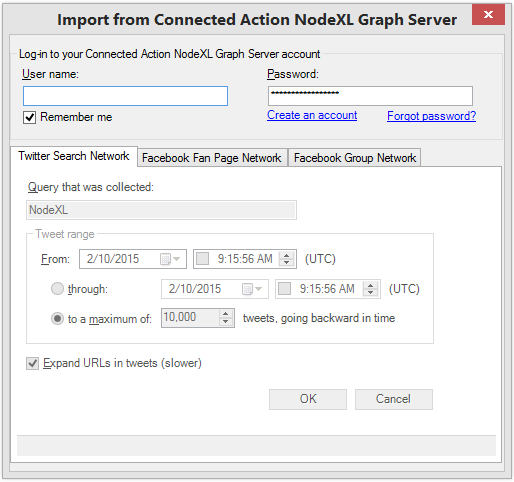 Bug fix: The NodeXL, Help, Check for Updates feature stopped working in version 1.0.1.131. This version introduces the concept of “vertex groups,” or “groups” for short. A group is a set of related vertices. All vertices in a group are shown with the same shape and color. Clusters are an example of groups. The NodeXL, Analysis, Find Clusters button in the ribbon has been moved to a new NodeXL, Analysis, Groups menu. You can now group vertices by connected components, meaning that each group of interconnected vertices will have the same shape and color. 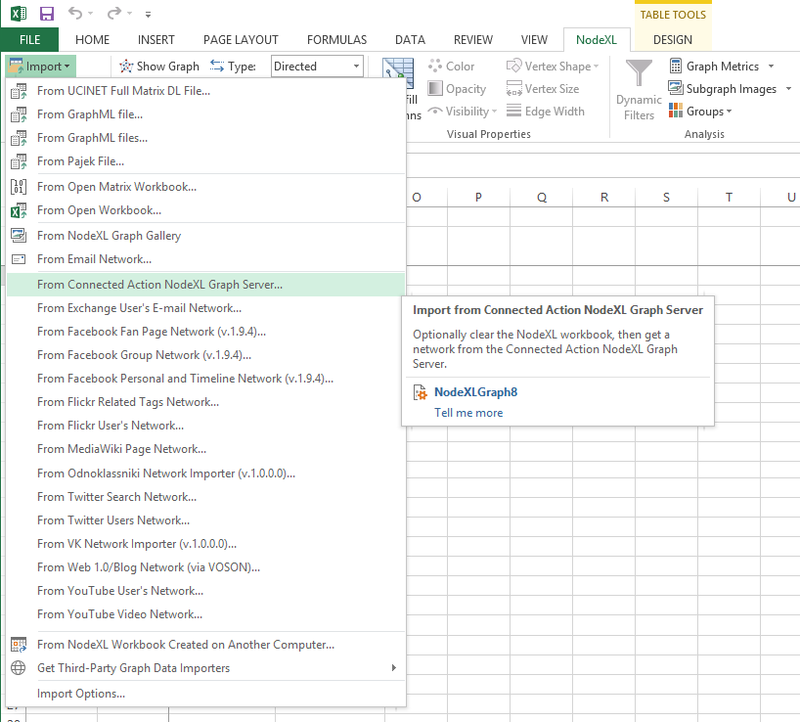 Go to NodeXL, Analysis, Groups, Find Connected Components. You can now group vertices using the values in a column on the Vertices worksheet — all vertices with degree greater than 100 in one group, all vertices with degree greater than 50 in another, for example. 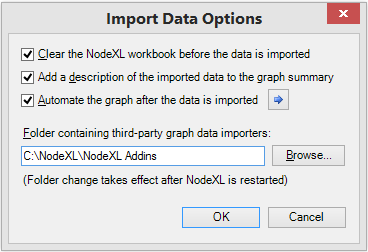 If you open an older NodeXL workbook in this new version of NodeXL, the Clusters and Cluster Vertices worksheets will be automatically renamed.